The Wall-Mounted Power Foamer is specifically designed to produce and propel a thick, rich foam long distances or high into the air. The foam clings to vertical surfaces and reaches hard to reach places, maximizing the performance of Kem-Ex-It Plus and Blast-Off Concrete Buildup and Splatter Remover. 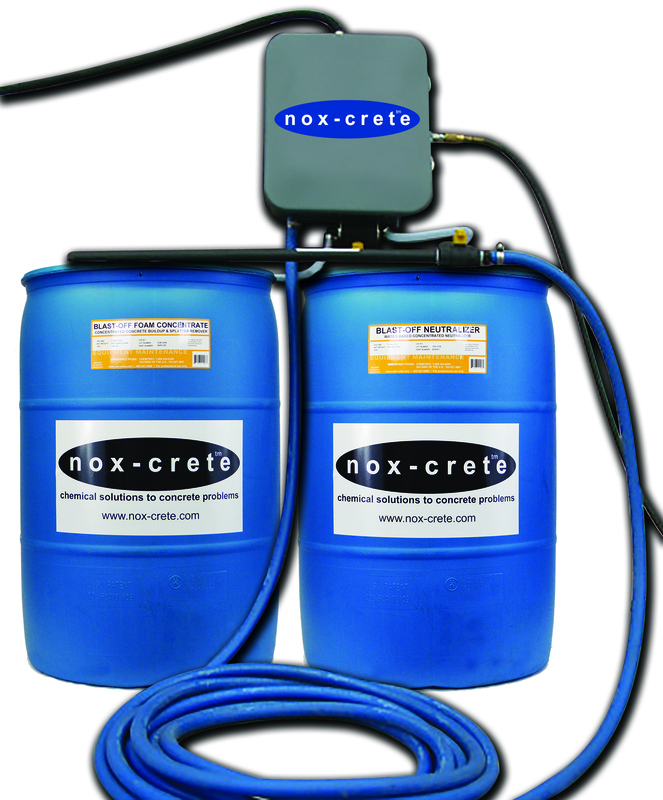 The Power Foamer is ideal for use on ready mix concrete trucks and other pieces of large equipment. The Power Foamer consists of a water intake, air intake and two product intakes. Water dilutes the products while the pressurized air quickly turns the product into a foam. Users can then apply the foam using the included wand.